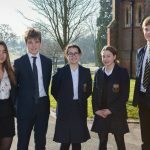 On Friday 8th February, it was the turn of Cranleigh’s string players to compete in the Jack Cook Strings section of the Helen Wareham Competition. 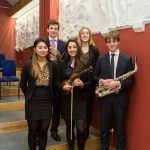 The evening opened with a slight departure from the standard format, introducing the competitors in a full ensemble performance of Sibelius’s glorious, hymn-like Andante Festivo, by the String Orchestra. 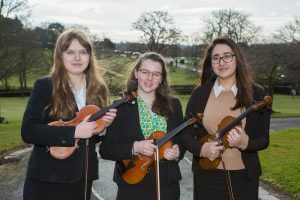 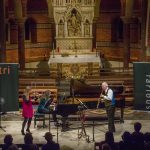 The audience was then treated to a lovely, varied programme showcasing the breadth of expressive scope and virtuosic potential of the four instruments of the violin family. 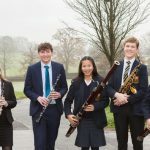 Particular thanks are due to the accompanists, Mr Richard Saxel and Mr Philip Scriven for their preparation work with the performers, to all the visiting string teachers for their tireless efforts, and of course to the adjudicators, Mr Marcus Pashley and Mrs Ruth Williams. 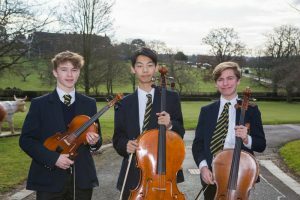 The three prize winners in the junior category were cellists Simon Chen (1st), Noah Charlesworth (2nd) and violist Henry Rigden (3rd). 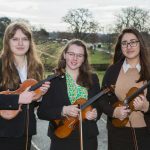 The three seniors who will progress to the final are violinists Elwyn Rowlands, Daisy Roberts and Millie Mazzone.Congratulations to all the performers for a lovely evening of string music.